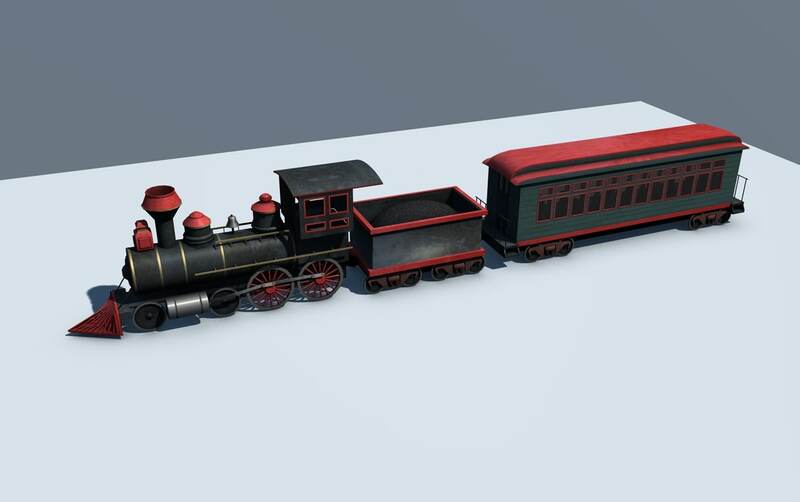 This is a Low Poly Train from the old west. It includes textures and materials. Includes a steam engine, coal car, and a passenger car.